Performing in a traveling show means adventure: seeing new towns, meeting new people, eating new food, experiencing cultural differences. Usually, it feels like you are offering a gift to every town you visit – as the protagonist in The Snow Clown: Cartwheels on Borders from Alaska to Nebraska (more info here) says, “Our job is to bring some circus light and warmth to the frozen tundra.” It’s much harder to see what’s actually going on beneath the surface in the communities on your route and what your “gift” might mean to the people in those communities. 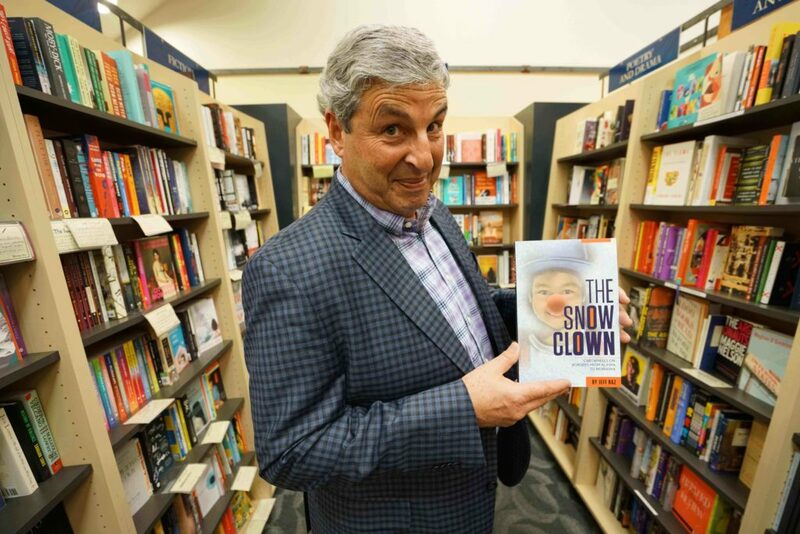 The Snow Clown is inspired by tours that sent me to strange lands and required me to become part of the communities there – teaching, performing, creating shows with students and even living right in the school. These “extreme touring” stories gave me a chance to more deeply explore the relationship between artists and their audiences. Spoiler alert: it isn’t always warmth and light. What a performer knows for a fact might actually be simply their point of view. For example, after a show in an Alaskan village, two touring clowns bow, the audience applauds and the clowns exit. Show over. But the audience doesn’t leave. In this region, Eskimo dancing is their live theater and every audience knows that if you applaud for a long time, the performers will do the whole show again. For that audience the show wasn’t over, it was just beginning. This is a simple misunderstanding — it gets more complex when culture, race, religion and gender come in to play. Hopefully this book will encourage circus performers to seek out more tours to places they’ve never been and, when they get there, to be deeply curious and humble about how differently we humans see the same world. Ask questions, tell stories, listen closely to their stories and laugh a lot.